The San Bernardino Community College District Board of Trustees is asking voters in the November 6, 2018 ballot to support a bond measure to repair college facilities to train firefighters, health care providers, police, engineers, and technicians who fuel our local economy. For nearly 100 years, San Bernardino Valley College and Crafton Hills College has provided award-winning, affordable higher education and career training to low- and middle-income students from 21 cities and surrounding communities including, Big Bear Lake, Colton, Grand Terrace, Loma Linda, Redlands, Rialto, San Bernardino and Yucaipa. Today, we serve about 21,000 students every year. Many of our classrooms, job training facilities and science labs need major repairs. From leaky roofs, rusty pipes, faulty electrical systems and outdated campus security systems, we believe our students deserve a better learning environment. The measure could generate $470 million to help update aging facilities for safe, 21st-century education. The median property owner would pay approximately $44 per year. Read impartial analysis of Measure CC prepared by San Bernardino County counsel. Refinancing of prior bonds have saved taxpayers over $37 million. Read the independent Citizens’ Oversight Committee reports and annual audits. A project list for Measure CC is required by law and can be found here. Our classrooms, career training facilities and labs need major improvements to ensure that they are secure, safe and up-to-date for student success. We haven't passed a local college bond measure in a decade and we face a backlog of college infrastructure projects. The longer we wait, the more expensive these improvements will become. With voter approval, Measure CC could generate $470 million to protect quality education and job training at San Bernardino Valley College and Crafton Hills College. The median property owner would pay approximately $44 per year. 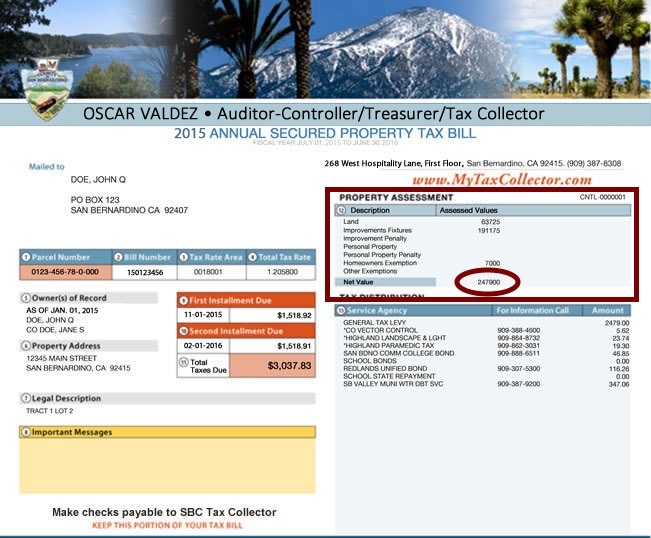 Enter the Property Assessment Net Value from your recent property Tax Bill below to calculate a cost estimate of the annual proposed bond measure. on the assessed property value entered. We welcome your input as we work together to upgrade our colleges to prepare students for success. Contact SBCCD's Director of Marketing, Public Affairs & Government Relations Angel Rodriguez at (909) 382-4012 or arodriguez@sbccd.edu.